(a) Performance assessments shall examine deep drilling and shallow drilling that may potentially affect the disposal system during the regulatory time frame. (1) Inadvertent and intermittent intrusion by drilling for resources (other than those resources provided by the waste in the disposal system or engineered barriers designed to isolate such waste) is the most severe human intrusion scenario. (2) In performance assessments, drilling events shall be assumed to occur in the Delaware Basin at random intervals in time and space during the regulatory time frame. (ii) The total rate of deep drilling shall be the sum of the rates of deep drilling for each resource. (i) Identify shallow drilling that has occurred for each resource in the Delaware Basin over the past 100 years prior to the time at which a compliance application is prepared. (ii) The total rate of shallow drilling shall be the sum of the rates of shallow drilling for each resource. (iii) In considering the historical rate of all shallow drilling, the Department may, if justified, consider only the historical rate of shallow drilling for resources of similar type and quality to those in the controlled area. (1) Future drilling practices and technology will remain consistent with practices in the Delaware Basin at the time a compliance application is prepared. Such future drilling practices shall include, but shall not be limited to: the types and amounts of drilling fluids; borehole depths, diameters, and seals; and the fraction of such boreholes that are sealed by humans. (2) Natural processes will degrade or otherwise affect the capability of boreholes to transmit fluids over the regulatory time frame. (d) With respect to future drilling events, performance assessments need not analyze the effects of techniques used for resource recovery subsequent to the drilling of the borehole. 40 CFR § 194.33 (U.S. EPA 1996) requires the U.S. Department of Energy (DOE) to make assumptions about future deep and shallow drilling in the Delaware Basin and the vicinity of the Waste Isolation Pilot Plant (WIPP). These assumptions pertain to the timing and duration of drilling, frequency of drilling, drilling practices and technology, and the effects of natural processes on boreholes. Drilling in the near future within the Delaware Basin will most likely be for oil and gas exploration/exploitation, which constitutes a deep drilling event. Shallow drilling may occur for other resources (e.g., water), but has been screened out of this and past analyses due to lack of consequence on the disposal system (see the Compliance Certification Application [CCA], Chapter 6.0, Section 6.2.5.2 [U.S. DOE 1996], and the 2004 Compliance Recertification Application [CRA-2004], Appendix PA, Attachment SCR; Appendix SCR-2009, and Appendix SCR-2014 [U.S. DOE 2004]). Drilling is incorporated in the performance assessment (PA) as a single event or combinations of events based upon different scenarios. Deep and shallow drilling rates and related activities directly affect the cumulative potential for radionuclide releases to the surface or to subsurface geologic units around the WIPP. In the CCA (U.S. DOE 1996), Chapter 6.0, Section 6.2.5, the DOE identified oil and gas exploration/exploitation and water and potash exploration as the principal human activities that must be considered within the PA. The remaining human-initiated activities-such as exploration for geothermal energy, water supplies, and sulfur and brine extraction (solution mining)-were eliminated based upon low probability, low consequence, or for regulatory reasons. Descriptions of well drilling, plugging, and abandonment practices typically followed in the Delaware Basin were provided in the CCA, Appendix DEL, Section DEL.5 , pp. DEL-26 through DEL-46. Chapter IX of the New Mexico Bureau of Mines and Mineral Resources (NMBMMR) Final Report (NMBMMR 1995),( pp. IX-1 through IX-69) includes a discussion of drilling targets and practices, with typical casing designs presented in the CCA, Appendix DEL, Figure DEL-13. The typical operation sequence for well installation was presented in Appendix DEL, Attachment 1 (Delaware Basin). Oil and gas exploration, exploitation, and production comprise 99% of the deep boreholes in the Delaware Basin, with the remainder being sulfur, potash, and stratigraphic test boreholes, as shown in Appendix DEL, Table DEL-4. The CCA also provides extensive information pertaining to the deep drilling process, from acquisition of leases to well completion and abandonment (the CCA, Appendix DEL, Section DEL.6.1 ). In the area near the WIPP site, deep drilling typically terminates between approximately 1,524 to 4,695 m (5,000 to 15,400 ft) below ground surface. The DOE stated that mud rotary drilling is the typical drilling method used in the Delaware Basin. A summary of deep drilling activities is provided in the CCA, Appendix DEL, Section DEL.5.1. The CCA discusses shallow drilling methods in Appendix DEL, Sections DEL.5.2 (Potash Coreholes) and DEL.5.3 (Water Wells). Although shallow drilling for hydrocarbons, sulfur, and brine extraction (solution mining) also occur, the CCA did not explicitly discuss drilling methods for hydrocarbons and brine extraction (solution mining) because they are comparable to those for deep drilling, while drilling methods for sulfur are comparable to those for potash drilling. Typical borehole sizes and depths were evaluated in the CCA, Appendix DEL, Section DEL.5 , pp. DEL-26 through DEL-42. These borehole properties are described as having the potential to affect the disposal system through radionuclide migration and transport, as detailed below. The CCA, Chapter 6.0, Sections 6.5.3 and 6.5.5 provide the results of calculations showing that actinides expelled from the WIPP by these release mechanisms would not exceed EPA release limits. In addition, in Chapter 6.0, Section 6.4.7.2, pp. 6-156 through 6-161, the CCA showed that the properties and degradation history of borehole plugging material was very important to the containment capabilities of the WIPP. Future shallow drilling events were not considered in the PA because they were determined to be of low consequence to the PA calculations (CCA, Appendix SCR, Section SCR.3 ). Random sampling from these distributions was used to calculate 10,000 different futures for the WIPP (the CCA, Chapter 6.0, Section 6.4.13.9). The EPA reviewed the information presented by the DOE in the CCA, Appendix DEL, Chapter DEL.6, Section 6.2, and Chapter IX of NMBMMR (NMBMMR 1995) to determine how extensively deep and shallow drilling was considered and whether the information provided was sufficiently comprehensive, accurate, and correctly calculated. The EPA examined the list of references presented in the CCA relative to drilling and conducted a literature search to evaluate the fluid injection study (U.S. EPA 1998a). The EPA determined that the DOE's scrutiny of resources to assess deep and shallow drilling practices and frequencies was comprehensive. The EPA also determined that the DOE's conclusions regarding representative drilling methods in the Delaware Basin are consistent with available data. During the public comment period on the EPA's proposed certification, commenters raised the issue that both air and mud drilling might occur in the Delaware Basin and that releases from air drilling could be greater than from mud drilling, potentially causing the WIPP to fail the release limits of 40 CFR § 191.13 (U.S. EPA 1993). The DOE did not include air drilling in the CCA because it was not a technique commonly used in the area near the WIPP. In response to issues raised by stakeholders, the DOE provided several reports (Dials 1998) that examined both the likelihood and consequence of drilling with air at and near the WIPP. Likewise, the EPA examined the air drilling issue from several perspectives and documented its findings in the Technical Support Document EPA's Analysis of Air Drilling at WIPP (U.S. EPA 1998b), and in Response to Comments, Section 8 (U.S. EPA 1998c). The results of the EPA's analysis showed that air drilling is not common practice in the Delaware Basin. In addition, even if air drilling were to occur, the volume of spalled material released is within the range presented in the CCA. The EPA evaluated the drilling-related information in the CCA to determine how both deep and shallow drilling affect the WIPP disposal system, including but not limited to, pressurization of the WIPP, brine/fluid removal, and circulation of brine within the panels. The EPA concluded that the DOE appropriately excluded shallow drilling from PA based upon low consequence. The EPA also concluded that the DOE appropriately simplified the intrusion scenarios to include the three types of drilling occurrences that, alone or in combination, are representative of potential future intrusion events in the WIPP. The CCA presents an analysis of all known wells, including hydrocarbon borehole exploratory and development wells in the Delaware Basin, and determines that inadvertent and intermittent drilling is the most severe human intrusion scenario. The CCA, Appendix DEL, Section DEL.7.3 , and Appendix PA, Attachment SCR, Section SCR.3 , include the DOE's analyses of drilling events in the WIPP area. The CCA, Chapter 6.0 identifies scenarios for human intrusion and calculated cumulative radionuclide releases assuming different intrusion events and combinations of events. The CCA, Appendix DEL, Table DEL-3 presents a listing of the types and number of boreholes encountered within the Delaware Basin. The hydrocarbon borehole category is broken down into seven individual types, including oil, gas, oil/gas, dry, abandoned, injection, and service. Both exploratory wells (boreholes drilled to locate hydrocarbons) and developmental wells (boreholes drilled to exploit known reserves) are included within each category listed in the table. For example, if a well was drilled to explore for natural gas or with the intent to extract more gas by a secondary recovery method, both will be classified as gas wells. By evaluating borehole types and standard well installation practices, the DOE determined that significant release of radionuclides from the disposal system can occur through only five drilling-related mechanisms for both exploratory and development wells (see CCA, Chapter 6.0, Section 6.0.2.3, p. 6-5). The EPA evaluated resources considered by the DOE when developing human intrusion scenarios. The EPA examined resources identified by the DOE (the CCA, Chapter 2.0, Section 2.3.1, pp. 2-146 through 2-156, Appendix GCR, and Appendix DEL, Section DEL.4 ) and compared them with potential resources available in the area. The EPA reviewed the DOE's data pertaining to wells associated with the exploration and development related to these resources (the CCA, Appendix DEL, Section DEL.7 ) and concluded that the DOE considered the full spectrum of inadvertent and intermittent human intrusion scenarios possible in the Delaware Basin and incorporated them into the PA. The EPA found that the DOE adequately demonstrated that it had considered inadvertent and intermittent drilling into or through the repository as the most severe human intrusion scenario (Compliance Application Review Document [CARD] 33, U.S. EPA 1998d). The EPA concluded that the DOE appropriately evaluated drilling in the Delaware Basin for inclusion in PA and adequately considered the drilling locations, depths, completion intervals, practices, history, and occurrence of resources. Finally, the EPA concluded that exploratory and development wells were appropriately included in the DOE's analysis. Based on the regulatory guidance and the historic rate of drilling in the Delaware Basin, the DOE calculated the rate of future drilling as 46.8 boreholes per square kilometer (km2) per 10,000 yrs (the CCA, Chapter 6.0, Section 6.0.2.3, p. 6-5). In accordance with 40 CFR § 194.33(c)(1), the DOE assumed that current drilling practices will continue unchanged into the future. In the CCA, Chapter 6.0, Section 6.4.12.2, pp. 182-83, the DOE outlined the process by which the random drilling rate assumptions were implemented. The number and time of intrusions were represented using a Poisson process to calculate the time period that elapsed between intrusions based on historical drilling activity and assuming a rate of 46.8 boreholes/km2 (for the 700- to 10,000-year period), and 0.468 boreholes/km2 for the period when PICs are effective (100 to 700 yrs). Specifically, the DOE stated in the CCA, Chapter 6.0, Section 6.4.12.2, p. 182, that both the number and time of intrusions are determined sequentially by sampling from a cumulative distribution function that describes the time elapsed between a given intrusion and the next intrusion. The potential time between intrusions varied from 0 to 9,900 yrs. Using this process, the DOE concluded that the most likely number of intrusions into a waste panel is 5, occurring with a probability of 0.1715. Zero intrusions occurred with a probability of 0.0041. The DOE found the largest number of intrusions that occurred is 14, with a probability of 0.0011 (the CCA, Chapter 6.0, Section 6.4.12.2, p. 183). The DOE assigned drilling rates based on basin-wide borehole information. The drilling rate calculated for the basin was then applied to the area of the repository by the DOE randomly assigning intrusion borehole locations among 144 discrete regions in the repository. Each hypothetical intrusion was assumed to penetrate only 1 of the 144 blocks, and the probability of intersecting any given block was 1 in 144. Based on the ratio of excavated to undisturbed Salado Formation in each grid block, the DOE concluded that a borehole has a 20% probability of encountering excavated Salado (i.e., waste-filled repository or experimental regions) and an 80% chance of encountering unexcavated Salado (the CCA, Chapter 6.0, Section 6.4.12.3, p. 184). The DOE did not consider boreholes relevant to the potential for release outside the boundaries of the repository, and therefore only calculated locations that could potentially intrude the repository. Specific well locations in the remainder of the Delaware Basin were not calculated. The CCA, Appendix CCDFGF presents details regarding how the probability of borehole intrusion scenarios was implemented in the construction of future realizations. The EPA reviewed the DOE's implementation of drilling rate and location assumptions, and concluded that the DOE used appropriate methods to derive drilling rates and locations. The EPA determined (U.S. EPA 1998d) that the DOE adequately demonstrated that drilling events were assigned as occurring over random intervals of time and at random locations. The EPA also reviewed the DOE's implementation of drilling assumptions and determined that the method employed by the DOE in the calculations yields random drilling rate and location results. Use of Poisson distribution to project the time period that will elapse between intrusions was determined to be an acceptable approach. Division of the projected future into three distinct time periods was determined to be appropriately justified. The EPA disallowed PA credit for PICs. Nonetheless, the CCA Performance Assessment Verification Test (PAVT) calculations demonstrated that the effects of the proposed credits for active institutional controls (AICs) and PICs are insignificant, so that the PA results remain unaffected whether or not the credits are allowed (U.S. DOE 1997a). In the CCA, Appendix DEL, Sections DEL.7.3 and DEL.7.4, the DOE identifies deep drilling that has occurred during the past 100 yrs for each resource known to occur in the Delaware Basin (hydrocarbons, potash, and sulfur), and calculates the total rate of deep drilling as the sum of the rates for each resource (the CCA, Appendix DEL, Section DEL.4.2 ). The DOE obtained information on deep drilling from two industry sources, Petroleum Information and the Midland Map Company, based on original records compiled by the New Mexico Oil Conservation Division (NMOCD) and the Railroad Commission of Texas Oil and Gas Division. Approximately 99% of the deep boreholes in the Delaware Basin were related to hydrocarbon exploration and exploitation. Industry database information regarding the number of deep drilling events/resource and information sources is presented in the CCA, Appendix DEL, Tables DEL-3 , DEL-4, DEL-6, and DEL-7. The DOE stated that drilling for deep resources near the boundary of the WIPP site since 1974 has demonstrated that profitable quantities of oil and gas resources are present near, and likely beneath, the WIPP site. The CCA, Appendix DEL, Figure DEL-6 shows oil and gas wells in the area surrounding the WIPP site (the CCA, Appendix DEL, Section DEL.4.2.2.4 ). The DOE stated that three hydrocarbon exploration/exploitation deep wells have been drilled in the WIPP land withdrawal area (the CCA, Appendix DEL, Section DEL.4.2.3 , p. DEL-20). Of these, two were drilled prior to 1982 and were later plugged and abandoned. The third well, drilled in 1982, is currently producing natural gas from a sandstone reservoir of Pennsylvanian Atokan age. Condemnation actions 77-071-B and 77-776-B by the United States currently withdraw all of Section 31, which is approximately 3.2 kilometers (2 miles) to the southwest of the repository, from the surface to a depth of 1,829 m (6,000 ft) (the CCA, Appendix DEL, Section DEL.4.2.3 ). Leaseholders have mineral rights below 1,829 m (6,000 ft), which would be accessed by directional drilling from a surface location outside of Section 31. The CCA contains tables that show the specific drilling rates for each type of well and for each type of resource (the CCA, Appendix DEL, pp. DEL-83 through DEL-84). The CCA, Chapter 6.0, Table 6-5 includes deep drilling events. The DOE used the drilling rates calculated from all available historical data as a basis for assigning future rates. These values and related calculation methods are shown in the CCA, Appendix DEL, Table DEL.6 and Table DEL.7. Reductions were made to these rates for AICs and PICs credit in the DOE analysis. As discussed in the CCA, Chapter 6.0, p. 6-181, AICs were credited for completely preventing inadvertent human intrusion for the first 100 yrs following repository closure. PICs were credited with reducing inadvertent intrusion to 1% of the calculated level for the period from 100 to 700 yrs after closure. The EPA examined the CCA to determine the adequacy and accuracy of drilling rate calculations presented by the DOE, as well as supporting assumptions and determinations. The EPA examined the comprehensiveness and adequacy of deep drilling information and compared the DOE data to information on standard industry practice that had been collected for the Delaware Basin. The EPA checked the DOE's calculations regarding deep drilling frequency for accuracy and compared them with the EPA's calculations based upon an independently derived database (U.S. EPA 1998a). The EPA's review determined that the DOE appropriately identified deep drilling that occurred in the Delaware Basin. The CCA identified resources for which deep drilling is used and estimated the number of drilling events that occurred over the past 100 yrs as 46.8 boreholes/km2. The EPA found that the DOE's method was sufficiently explained and that the DOE adequately documented sources of supporting information. The EPA concluded that the DOE's results for the total rate of deep drilling are consistent with available data. The EPA disallowed credit for PICs. Therefore, the DOE did not take credit for PICs in the CCA PAVT calculations (U.S. DOE 1997a; U.S. DOE 1997b). The results of the PAVT were comparable to the original CCA results, in which PICs credit was employed; therefore, the EPA concluded that the PICs credit was not significant to the WIPP's compliance with the disposal standards. The EPA found that the DOE's sources of information on deep drilling were reliable and that the DOE's confidence in the industry database was appropriate, based on the EPA's independent review of industry activity in the area (U.S. EPA 1998a). The DOE identified all resources relevant to deep drilling. Well databases are understood to contain all well types possible in the area, including both exploratory and development wells. Public comments on the proposed decision to certify the WIPP raised questions about the DOE's calculated deep drilling rate because commenters believed that the drilling rate used by the DOE was too low with respect to current drilling rates. The EPA concluded that the deep drilling rate used by the DOE was consistent with the requirements of 40 CFR Part 194. The DOE examined the resources present within the Delaware Basin and determined that the shallow resources identified in the Delaware Basin are water, potash, sulfur, oil/gas, and brine wells (salt water "wells") (the CCA, Appendix DEL, Section DEL.4 , Table DEL-5). Note: This table also presents stratigraphic and core test holes, but these apply to investigations associated with the five resources. The DOE examined these resources and determined that no shallow oil or gas is present in the controlled area or near the WIPP, and no minable sulfur reserves are present in the controlled area or near the WIPP (the CCA, Appendix DEL, p. DEL-81). The DOE also examined the possibility of brine extraction (solution mining) but excluded it from consideration in PA based upon low consequence. The DOE concluded that water and potash are potential resources within the controlled area, but nevertheless included brine extraction (solution mining), and stratigraphic test holes (exclusive of those installed as part of the WIPP site characterization program) in its shallow drilling rate calculations. The DOE identifies a total of 5,536 shallow boreholes that have been installed in the Delaware Basin, including those for sulfur coreholes (495 coreholes) but excluding those boreholes installed as part of the WIPP site characterization program (the CCA, Appendix DEL, Table DEL-5 , p. DEL-83). The DOE's method for calculating the shallow drilling rate was first to collect comprehensive information on shallow drilling in the Delaware Basin, including drilling for hydrocarbons, sulfur, potash, stratigraphic tests, water, and brine extraction (solution mining) wells (the CCA, Appendix DEL, Table DEL-5 ). The DOE stated that information regarding shallow drilling in the Delaware Basin was obtained from commercial and government sources. The DOE collected water well data from a commercial database developed by Whitestar Corporation of Englewood, Colorado; potash well data from Bureau of Land Management (BLM) records; and sulfur corehole data from a database developed jointly by Whitestar Corporation and Petroleum Information Corporation of Denver, Colorado (the CCA, Appendix DEL, Tables DEL-3 , DEL-4, and DEL-7). Sources used to determine the type and quality of resources include those used to determine the drilling rate. The DOE calculated the total rate of shallow drilling as the sum of the rates for shallow drilling of resources in the Delaware Basin of the type and quality similar to those in the WIPP-controlled area. The DOE excluded consideration of the 495 sulfur drill holes when calculating the drilling rate, since no economically extractible sulfur is located within the WIPP land withdrawal area (the CCA, Appendix DEL, pp. DEL-25 and DEL-81; NMBMMR 1995). Also, following EPA guidance, the DOE excluded consideration of shallow drill holes created as part of the WIPP site characterization efforts (the CCA, Appendix DEL, p. DEL-81). However, the DOE included drilling for oil/gas and brine solution mining in its rate calculations, even though the DOE indicated that it was not necessary to do so. The DOE calculated a shallow drilling rate over the past 100 yrs of 21.8 shallow holes per km2 per 10,000 yrs (the CCA, Appendix DEL, Section DEL.7.4 , p. DEL-81). The DOE concluded in the CCA, Appendix SCR, that shallow drilling (Section SCR.3.2, Table SCR-3) could be screened from PA based on low consequence. As a result, the DOE did not include shallow drilling in its PA drilling rate calculations and did not include any reduction in shallow drilling rates during the AIC and PIC periods. The EPA reviewed the CCA, Appendices DEL, SCR, GCR, FAC, HYDRO, and other references (e.g., NMBMMR) (NMBMMR 1995) and determined that the DOE appropriately identified shallow drilling resources and the number of drilling events for each resource over the past 100 yrs (U.S. EPA 1998d). The EPA concluded that the DOE's exclusion of sulfur coreholes from drilling was consistent with geologic data indicating that sulfur resources are not present in the area. In addition, the DOE's exclusion of site-investigation coreholes is consistent with EPA guidance. The DOE adequately discussed the basis for and calculation of the frequency of shallow drilling. The EPA concluded that the DOE properly calculated both the frequency of shallow drilling (using the historical rate of shallow drilling) and the sum of shallow drilling for all resources (whichever are used in the area, such as potash and water only). The EPA reviewed information in the CCA, Chapter 6.0 and Appendix DEL, but did not collect an independent database for comparison with the DOE's data because the EPA concurred with the DOE's screening of shallow drilling from PA calculations (as presented in the CCA, Appendix SCR, Section SCR.3 , and summarized in Table SCR-3). The DOE stated that since shallow boreholes would not penetrate the repository, the effects of boreholes on repository performance, including hydraulic effects of drilling-induced flow (e.g., the CCA, Appendix SCR, Section SCR.3.3.1.1.3 , pp. SCR-113-14), could be excluded due to low consequence. This exclusion eliminated the need for a detailed evaluation of data used by the DOE to determine shallow drilling rates, including whether the DOE's rates encompassed exploratory and development wells (although assessments included both). The DOE stated, "The effects of future shallow drilling within the controlled area have been eliminated from PA calculations on the basis of low consequence" (the CCA, Chapter 6.0, Section 6.2.5.2, p. 6-61). As such, the shallow drilling rate was not added to the deep drilling rate to obtain the total drilling rate used in the PA. The EPA noted that the DOE took a combined approach relative to resources in the controlled area. That is, the DOE considered all the resources present in the area in shallow drilling rate calculations. Only drilling for potash and water wells fall in the shallow category (less than 655 m [2,150 ft] from the surface); thus, only these two resources were used in the calculation of shallow drilling rate for the controlled area. The EPA concluded that the DOE adequately discussed resources within the controlled area for those resources included, and justified the exclusion of other resources from consideration. In the CCA, Appendix DEL, Section DEL.5.1 , p. 26, the DOE stated that modern rotary drilling techniques, with a variety of mud systems, have been used for well completions in the vicinity of the WIPP. The DOE indicated that drilling depths range from 1,219 m (4,000 ft) to more than 4,267 m (14,000 ft), depending on the hydrocarbon-producing formation targeted. As stated in the CCA, Appendix DEL, Section DEL.4.2 , the DOE took information regarding the depths of wells and probable resources primarily from Chapter IX of NMBMMR (NMBMMR 1995). The DOE stated that wells designed to penetrate the deeper Atokan natural gas plays (over 4,267 m [14,000 ft] below ground surface) tend to start at the surface with larger bits and conductor casings, and are completed with a long production string of 4½- to 5½-inches (in.) casing. In such wells, the larger casing string present through the lower salt sections tends to be 8 in., 9 in., or larger in diameter. The DOE indicated that wells intended for completion in the relatively shallower (approximately 1,524 m to 2,438 m [5,000 to 8,000 ft] deep) Delaware Group are drilled with similar technology and mud systems through the salt sections. Long string casing present across the Bell Canyon varies from 4½ to 13 in. Completions may use 2- or 3-in. tubing strings. Standard completion technology for both the Delaware Group and Atokan wells includes perforation of the long string casing with a hydraulic fracture treatment using a variety of gelled fluids to emplace sand proppant into the fractures. The DOE indicates that acid treatments and acid fracture treatments are frequently used, especially for Brushy Canyon completions (the CCA, Appendix DEL, Section DEL.5.1.9 , p. DEL-40). The DOE assumed that all oil- and gas-related boreholes in the area will be plugged according to current applicable regulations. The DOE based this assumption on records for wells drilled on federal lands, for which the NMOCD data showed that all wells were either plugged or scheduled to be plugged in accordance with regulatory requirements. A DOE study, provided in the CCA, Appendix MASS, Attachment 16-1, indicated that 100% of wells drilled and abandoned since 1988 were, or are in the process of being plugged per applicable BLM or NMOCD regulatory standards pertaining to technical requirements. Based on review of data presented in the CCA, Chapter 6.0, Section 6.4.7.2, and Appendices DEL and MASS, the EPA found that the DOE has assumed that future drilling practices and technology will remain consistent with current practices in the Delaware Basin. In addition, the EPA determined that the DOE performed appropriate assessments of future drilling practices and technologies-including the types/amounts of drilling fluids and borehole dimensions-and that the assessments were consistent with data presented in the above-referenced CCA appendices. The EPA's evaluation of state files, private database records, and independent industry practice information confirmed the DOE's assumptions regarding future drilling practices and technologies, including the types/amounts of drilling fluids, and borehole dimensions (U.S. EPA 1998a). During the public comment period for the proposed certification decision, the EPA received comments that stated air drilling is current practice in the Delaware Basin. As a result of these comments, the EPA performed additional analyses of air drilling to determine whether it is common practice in the Delaware Basin. See the EPA's Analysis of Air Drilling at the WIPP (U.S. EPA 1998b) and Response to Comments, Section 8 (U.S. EPA 1998c). Based on this analysis, the EPA again determined that the use of mud as the drilling fluid is the current practice for drilling through the salt section (the Salado and Castile Formations) and that air drilling through the salt section is not consistent with current drilling practices in the Delaware Basin. Thus, the DOE properly excluded air drilling through the salt section from consideration in the WIPP PA. The EPA informed the DOE in a letter dated December 19, 1996, that the DOE was required to provide detailed information about the large number (7,428) of unaccounted boreholes (the CCA, Appendix DEL, Table DEL-2 ) and about the inclusion of the effects of unplugged boreholes in the PA (Nichols 1996). The EPA required this information because the unplugged/abandoned borehole issue was not clearly presented in the CCA. The DOE's response to this comment was presented in three subparts (Dials 1997, Enclosure 2). · The total number of boreholes listed in the CCA, Appendix DEL, Table DEL-2 , is not consistent with the record keeping system of NMOCD (data source) because the categorization of data does not take into consideration the temporarily abandoned boreholes, service wells, injection wells, and dry wells. In addition, data came from different sources and different assumptions were made. · The current regulatory process was designed, in part, to address the issue of unplugged boreholes. The EPA believed that the DOE appropriately identified that there are no unaccounted wells within the land withdrawal area. Wells in the land withdrawal area are either shallow or deep research boreholes drilled by the DOE, or several abandoned but plugged wells (see the CCA, Appendix DEL, Figure DEL-6 ). The DOE plans to follow State of New Mexico requirements in plugging boreholes drilled into the disposal system. 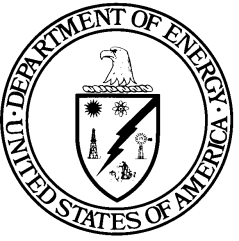 · The DOE stated that considering the degradation in plug properties to those of silty sand over time accounted for the issue of unplugged holes. The changes in properties were included in PA. The EPA agrees that boreholes will degrade, but the EPA believed that the permeability range should be different than that selected by the DOE (see below). The EPA found the DOE's discussion to be technically adequate because the boreholes in question are outside of the land withdrawal area and are not expected to affect the disposal system's capability to contain radionuclides. The EPA concluded that the DOE appropriately screened out abandoned boreholes drilled just meters away from the waste because of the limited communication through the low-permeability halite between the waste and the boreholes (U.S. EPA 1998e). The DOE included in the PA boreholes drilled into the waste areas. The DOE assumed that abandoned boreholes would have the permeability of silty sand. The EPA agreed that the upper limit of permeability assumed by the DOE was appropriate. However, the EPA believed that it is possible for abandoned boreholes to have low permeability, similar to a recently plugged borehole (U.S. EPA 1998f). The EPA therefore required the DOE to include a larger range of long-term concrete plug permeability values in the CCA PAVT (Trovato 1997). This range in borehole permeability values is from 5 ´ 10-17 to 1 ´ 10-11 m2, which the EPA believed covers the behavior of plugs in the Delaware Basin. The PAVT findings indicated that even with these changes in the borehole permeability, the releases did not violate the containment requirements. The CCA, Appendix DEL, Attachment 7 (Inadvertent Intrusion Borehole Permeability) addressed borehole permeability variation. The CCA, Appendix DEL used published literature, plugging field tests, and oil and gas companies' experience to assess borehole permeability. The CCA, Appendix DEL also addressed wells that were plugged since 1988, when the State of New Mexico adopted new drilling and plugging regulations. Boreholes existing prior to 1988 are extremely limited in number within the WIPP land withdrawal area. The DOE accounted for the risk and uncertainties associated with boreholes drilled prior to 1988 in the PA by using various behaviors of plugs in the Delaware Basin. Borehole plug life for a two-plug configuration was considered in PA calculations to be 200 yrs; beyond that period, permeability was equivalent to marine silty sand and was held constant for the remainder of the regulatory period. The DOE assumed that processes that affect boreholes include steel casing corrosion and concrete plug alteration. · One continuous plug through the evaporite sequence: probability of 0.02. · Two plugs-one in the Bell Canyon (below the potential brine reservoirs) and one in the Rustler Formation (between the Culebra Dolomite Member of the Rustler Formation (hereafter referred to as Culebra) aquifer and the repository): probability of 0.68. · Three plugs-two as described for the two-plug form and a third plug in the Salado: probability of 0.30. The DOE estimated that this plug system was expected to have an initial permeability of 5 ´ 10-17 m2. The DOE assumed that casings would corrode due to the saline groundwater environment (the CCA, Appendix DEL, Attachment 7, Appendix B) and that concrete plugs would degrade when sufficient water entered a plug to cause matrix degradation (the CCA, Appendix DEL, Attachment 7, Appendix C). The DOE also assumed that shallower casing and cement plugs will degrade in 200 yrs, allowing for more potential fluid flow earlier in the regulatory period in shallower horizons compared to deeper casing, which was assumed to fail approximately 5000 yrs after installation. The DOE assumed that the "corroded casing and degraded plug will fill the hole with material with a permeability approximating that of silty sand (10-11 to 10-14 m2), and over time any of this material below the repository will compress through creep closure of the borehole to a permeability about one order of magnitude lower" (the CCA, Appendix DEL, Attachment 7, p. 19). Plug configurations do not apply explicitly to shallow drilling, except that abandoned shallow boreholes typically are continuously cemented and "are expected to have no effect on the performance of the WIPP" (the CCA, Appendix DEL, Section DEL.5.2 , p. DEL-41). Ø 10-15 to 10-12 m2 after 6,000 yrs. · Other plugs: 150 ft (45.73 m), 2.5 tons of concrete (1 m3). D h = change in porosity from mineral alterations. The DOE assumed that the permeability of plug systems is never greater than 10-11 m2. Assumptions made by the DOE regarding borehole plug permeability and casing corrosion are presented in the CCA, Appendix DEL, Attachment 7. The EPA reviewed the CCA, Appendices DEL and MASS, and determined that the DOE sufficiently identified natural borehole degradation mechanisms that will affect boreholes over time. The EPA also examined the plug configurations presented by the DOE and compared these generalized configurations with those for oil/gas and potash resource boreholes in the WIPP vicinity, as evidenced by the resources targeted and necessary plugging techniques. The EPA determined that the DOE's plug configurations (which directly impact the portions of the borehole over which degradation processes are expected to act) and plug probabilities are adequate representations of the plugs in the WIPP area (U.S. EPA 1998d). The EPA evaluated the effects that natural degradation of long-term borehole plugs would have on the plug system and the potential for increased transmissivity of abandoned well plugs due to such degradation. The EPA disagreed with the DOE's lower limit for borehole plug permeability. Although the DOE's permeabilities assigned for the various plug configurations were based on plausible data, the EPA believed the DOE assumed a low-end permeability that was too high. For further discussion of the EPA's analysis of borehole permeabilities, see the Parameter Justification Report (U.S. EPA 1998f). If degraded boreholes are assumed to be filled with materials analogous to unconsolidated silt or silty sand, the permeabilities of 1 ´ 10-14 to 1 ´ 10-11 m2 used by the DOE are not unreasonable estimates of values per industry standards (Freeze and Cherry 1979). (For purposes of comparison, the permeability range reported for shale and unweathered marine clay varies from 10-21 to 10-17 m2. See the CCA, Appendix MASS, Attachment 16-3) (Thompson et al. 1996). However, as discussed below, the EPA investigated this assumption and found that permeability values could be lower than the DOE assumed. Lower values allow for greater gas pressurization of the WIPP and a subsequent increase in releases due to mechanisms such as spallings (U.S. EPA 1998d). The EPA began by investigating the permeability of borehole materials and drilling fluids in the petroleum industry. Literature values for permeability of cement used in borehole applications can range from 9 ´ 10-21 to 1 ´ 10-16 m2; these values are also cited in some of the publications referenced in the CCA. The EPA also investigated drilling muds. Filter cake and compacted clay-based drilling muds can yield permeabilities of less than 9.9 ´ 10-22 m2 from field data for 11 pounds per gallon mud (U.S. EPA 1998d). The EPA concluded that drilling mud circulated in Delaware Basin boreholes may not have the degree of clay-based solids loading typically experienced elsewhere (as discussed in the CCA, Appendix MASS, Attachment 16-3, Annex C); however, natural cuttings could contribute to lower borehole permeability than that postulated by the DOE. Lower initial permeabilities, more effective plug segments, mixed layers between plug components that would take time to degrade, and lower fluid velocities than the DOE assumed in its calculations could significantly retard plug degradation and could maintain the effective seal of the plug sequences for hundreds or thousands of yrs beyond that assumed by the DOE in the CCA, Appendix MASS, Attachment 16-3. The DOE provided a variety of plausible mechanisms to increase plug permeability, and the EPA believed that this high range of permeability may be attained. However, the EPA also believed there is a limited probability that the lower borehole permeability (over several hundred vertical feet of borehole) would reach the relatively large permeabilities estimated by the DOE. Since permeability through any given borehole will actually be controlled by the permeabilities of all zones through which fluids must pass, the effective average permeability could be dominated by small sections of remaining competent plug or other low permeability material. If complete degradation does not occur throughout a well, or if natural materials and mud provide additional layers with sealing properties, it is possible that the effective average permeability over several hundred feet of abandoned borehole could remain in the range of 9 ´ 10-21 to 1 ´ 10-16 m2 over a period of hundreds, if not thousands, of yrs. The EPA concluded that the borehole permeabilities assigned in the CCA (Appendix MASS, Attachment 16-3) were consistent with the broad range of available permeability data, but the DOE did not adequately consider the total range of permeability conditions that could exist in boreholes. Permeabilities assigned by the DOE may therefore overestimate the degree to which plugs would lose effectiveness. The EPA concluded that an alternative case could be made in which many of the plugs would retain a larger degree of effectiveness. As such, a lower maximum permeability value of approximately 1 ´ 10-17 m2 (1 ´ 10-2 millidarcy) is quite possible (particularly for long-term conditions) and may have an impact on PA results. As a result, the EPA included both long- and short-term plug permeability changes in the CCA PAVT. The EPA required that PA simulations be conducted with lower permeabilities (concrete element of the borehole plug has a maximum of 10-19 m2; silty sand element of the borehole plug has a maximum of 5 ´ 10-17 m2) to account for possible cases in which complete degradation does not occur throughout a well, or natural materials and mud provide additional layers with sealing properties. Results of the CCA PAVT indicate that lower borehole permeability allows greater pressure buildup in the repository and, hence, greater release potential from mechanisms such as spallings. However, releases predicted by the CCA PAVT were still well below the EPA's release limits (U.S. DOE 1997a; U.S. DOE 1997b). 10-17 m2 was used in the CCA PAVT for a degraded borehole filling. The EPA found that these ranges adequately cover the behavior of plugs in the Delaware Basin. The results of the CCA PAVT indicated that even with these changes in the range of permeabilities for degraded borehole plugs, releases did not violate the EPA's containment requirements (U.S. EPA 1998d). The EPA believed that its detailed review of the DOE's borehole plugging assumptions provided an adequate basis for the EPA's conclusion that the DOE's assumptions were acceptable. Although the EPA originally questioned many of those assumptions, further investigations substantiated many of the DOE's assumptions, and the use of modified permeability ranges in the CCA PAVT did not cause releases to exceed regulatory limits. The DOE assumed that future drilling practices will be the same as current practice in terms of the type and rate of drilling, emplacement of casing in boreholes, and procedures for plugging and abandonment. The DOE did not include the impact of resource recovery subsequent to future drilling of boreholes on the basis of low consequence. The DOE did not include the effects of resource recovery techniques in the PA analysis of future human intrusion. In addition, in the deep drilling disturbed performance scenario, the DOE examined three drilling-only scenarios, but these did not incorporate resource recovery techniques. The DOE stated in the CCA, Chapter 6.0, p. 6-60, that the PA did not analyze the effects of techniques used for resource recovery subsequent to the drilling of the borehole. The EPA determined that the DOE was in accordance with the provisions of 40 CFR § 194.33(d) as the PA did not analyze the effects of resource recovery techniques in future drilling events (U.S. EPA 1998d). Table 33-1 presented changes in the CRA-2004 PA that relate to drilling for resources. This represented the migration of the PA baseline from the CCA to the CRA-2004. As noted below, most changes resulted from adopting the CCA PAVT parameters as directed by the EPA. Also, unless noted below, all other aspects of compliance with section 194.33 were consistent with those presented in the CCA, and did not represent changed or updated information. The EPA reviewed the DOE's CRA-2004 documentation of continuing compliance with section 194.33 and concurred that little had changed since the CCA for the consideration of drilling events. The DOE adopted the EPA's PAVT parameter values and updated a few parameters based on the data collected from the Delaware Basin Monitoring Program. The EPA also concurred that the features, events, and processes (FEPs) had changed little for the CRA-2004. The EPA found the DOE adequately demonstrated that it had considered inadvertent and intermittent drilling into the repository as the most severe human intrusion scenario for the CRA-2004 PA. The EPA concluded that exploratory and development wells were appropriately included in the DOE's CRA-2004 analysis (CARD 23, U.S. EPA 2006). Since the original CCA, the EPA has annually inspected the DOE's site monitoring program, in particular, the Delaware Basin drilling surveillance program. Each year, the EPA found the DOE's monitoring program to be adequate. The EPA found the DOE's compliance with the requirements of 40 CFR § 194.33(b)(4) related to shallow drilling to be adequate. The EPA found the DOE's documentation adequate to support its conclusion that drilling practices have not changed since the original CCA, and that the DOE's basin surveillance program is sufficient to evaluate and capture any changes in activities in the basin. The EPA agreed that borehole plugging techniques assumed in the CCA and CRA-2004 PA calculations have not changed, and therefore the way these were incorporated into the PA calculations was appropriate. The EPA also agreed that the minor change in the occurrence probability of plug configurations was appropriate and of no consequence to PA results. Public comments expressed concern that the drilling rate was underestimated in the CRA-2004 PA given the amount of drilling currently taking place throughout the Delaware Basin. Comments suggested that the drilling rate be doubled to demonstrate compliance. Although the EPA determined that the DOE appropriately calculated and implemented a drilling rate of 52.2 boreholes/km2/year in compliance with 40 CFR § 194.33(b) for recertification, the EPA requested that the DOE calculate the impacts of doubling the current drilling rate to respond to stakeholder concerns. The DOE performed the calculations for this analysis with the drilling rate increased to 105 boreholes/km2/yr for 10,000 yrs. The results of computer modeling showed that doubling the drilling rate would increase releases from the repository. However, this increase is relatively small and still well below the EPA's regulatory release limits (CARD 23, U.S. EPA 2006). There were two changes in the CRA-2009 (U.S. DOE 2009) that relate to the consideration of drilling in PA. First, the drilling rate was updated based on drilling activities in the Delaware Basin since the CRA-2004 in accordance with 40 CFR § 194.33(b)(3) (see Appendix PA-2009, Section PA-3.3 ). Second, the duration of DBR was modified to reflect current industry practice, in accordance with section 194.33(c)(1) (see Appendix PA-2009, Section PA-4.7.8 ). Furthermore, because recertification applications are expected to include any relevant updated activities and information since the most recent application, these changes were considered necessary to comply with the provisions of 40 CFR § 194.15(a)(4). The following sections describe how these two changes related to the demonstration of compliance with the provisions of section 194.33. Unless noted below, all other aspects of compliance with section 194.33 were consistent with that presented in the CRA-2004, and did not represent changed or updated information. Potentially disruptive events and processes (EPs) that could affect the disposal system are identified, classified, and screened in Appendix PA-2004, Attachment SCR. EPs that were screened into PA calculations were then incorporated into the appropriate scenarios and conceptual models. For the CRA-2009, there were no changes in the EPs screened into PA, or the scenarios and conceptual models that represent them. Therefore, the DOE continued to comply with section 194.33(a). There was no change in the implementation of the inadvertent human intrusion scenarios for the CRA-2009. PA continued to represent inadvertent and intermittent intrusion by drilling for resources as the most severe human intrusion scenario. Therefore, the DOE continued to comply with section 194.33(b)(1). There was no change in the implementation of the location and timing of the intrusion borehole in the WIPP PA. Such events were assumed to occur randomly in space and time, as directed by the above criterion. These specific PA assumptions were implemented in the code CCDFGF, and described in the CCA, Chapter 6.0, Section 6.4.12. Additional details on the implementation of these assumptions were found in Appendix PA-2009, Section PA.3.2. Therefore, the DOE continued to comply with section 194.33(b)(2). The method for determining the deep drilling rate for the WIPP PA was not changed. However, the drilling rate for the CRA-2009 was different from that used in the CRA-2004. This is due to the addition of recently drilled wells since the last recertification application. Derivation of the drilling rate used in PA is found in the Delaware Basin Monitoring Report for 2007 (U.S. DOE 2007). For the CRA-2009, the drilling rate is 58.5 boreholes/km2. Therefore, the DOE continued to comply with section 194.33(b)(3). However, shallow drilling continued to be screened out of PA calculations for the CRA-2009 because of low consequence. Therefore, there were no changes with regard to compliance with this part of the compliance criteria, and the DOE continued to comply with section 194.33(b)(4). The Delaware Basin Monitoring Annual Report for 2007 stated that drilling practices have not changed since previous reports (see U.S. DOE 2007, Section 4 ). However, one change was made to the WIPP PA system since the CRA-2004 that related to analyzing drilling-related events: the maximum time a DBR can occur was changed from 11 days to 4.5 days. The maximum DBR duration is represented in PA by the parameter MAXFLOW and used in the code BRAGFLO. (Kirkes 2007) documented that this change was in keeping with current drilling practices within the Delaware Basin and the previous assumption of 11 days was incorrect. (Kirkes and Clayton 2008) documented the impacts of reducing the maximum duration of DBR and showed that this change had a very minor impact upon performance predictions. Appendix PA-2009, Section PA.9.3 discussed the contribution of DBR to total releases for the CRA-2009 performance calculations. Therefore, the DOE continued to comply with section 194.33(c). No changes occurred with respect to the WIPP's approach to compliance with this requirement. As in previous applications, certain EPs that relate to the extraction and production of resources can be screened out of PA calculations. Appendix SCR-2009 stated that the human-related FEPs H19, "Explosions for Resource Recovery," H25, "Oil and Gas Extraction," and H26, "Groundwater Extraction," were screened out according to the exclusion afforded by the provision of section 194.33(d), as these processes directly related to the recovery of resources subsequent to drilling. Three new FEPs for the CRA-2009 were also screened out according to the criteria of section 194.33(d): H60, "Liquid Waste Disposal-inside the WIPP boundary (IB)," H61, "Enhanced Oil and Gas Production-IB," and H62 "Hydrocarbon Storage-IB," were screened out for the future time frame using this regulatory provision. Therefore, the DOE continued to comply with section 194.33(d). The EPA verified that the DOE continues to consider the full spectrum of inadvertent and intermittent human intrusion scenarios as done in the CCA PA. The EPA found that the DOE adequately demonstrated that it had considered inadvertent and intermittent drilling into the repository as the most severe human intrusion scenario for the CRA-2009. The EPA continued to conclude that exploratory and development wells were appropriately included in the DOE's CRA-2009 analysis. The EPA also concluded that borehole plugging techniques used in the CCA, CRA-2004, and CRA-2009 did not change and were appropriately incorporated into PA calculations. Based on its review and evaluation of this information, the EPA found that the DOE continued to comply with the requirements of section 194.33 (U.S. EPA 2010). There are three changes in the CRA-2014 that relate to the consideration of drilling in PA. First, the probability that a drilling intrusion into the repository will also intercept pressurized brine beneath the repository has been updated (see Section 33.8.1). Second, the drilling rate is updated based on drilling activities in the Delaware Basin since the CRA-2009 in accordance with section 194.33(b)(3) (see Section 33.8.2). Third, the plugging patterns employed in PA have been updated (see discussion in Section 33.8.3). Each of these changes is the result of incorporating newly gathered monitoring data into PA models and is considered necessary to comply with the provisions of section 194.15(a)(4). The following sections describe how these three changes relate to the demonstration of compliance with the provisions of section 194.33. Potentially disruptive EPs that could affect the disposal system are identified, classified, and screened in the Appendix SCR-2014. EPs that are screened into PA calculations are then incorporated into the appropriate scenarios and conceptual models. For the CRA-2014, there were no changes in the EPs screened into PA, or the scenarios and conceptual models that represent them. However, there has been an update to the PA parameter that represents the probability that an inadvertent drilling intrusion will also intercept pressurized brine beneath the repository. The update to this parameter results from a re-examination of existing data while also including a greatly expanded set of drilling data for locations adjacent to the WIPP site that were not available for the development of the previous parameter distribution. (Kirchner et al. 2012) describes the update to this PA parameter. The DOE continues to comply with section 194.33(a). There is no change in the implementation of the inadvertent human intrusion scenarios for the CRA-2014. PA continues to represent inadvertent and intermittent intrusion by drilling for resources as the most severe human intrusion scenario. Therefore, the DOE continued to comply with section 194.33(b)(1). There is no change in the implementation of the location and timing of the intrusion borehole in the WIPP PA. Such events are assumed to occur randomly in space and time, as directed by section 194.33(b)(2). These specific PA assumptions are implemented in the code CCDFGF. Additional details on the implementation of these assumptions are found in Appendix PA-2014, Section PA.3.2. Therefore, the DOE continues to comply with section 194.33(b)(2). The method for determining the deep drilling rate for the WIPP PA has not changed for the CRA-2014. However, the drilling rate for the CRA-2014 has been updated. Derivation of the drilling rate used in PA is found in the Delaware Basin Monitoring Report for 2012 (U.S. DOE 2012). For the CRA-2014, the drilling rate is 67.3 boreholes/km2, an increase from the previous value of 59.8 boreholes/km2 for the CRA-2009 PABC. Therefore, the DOE continues to comply with section 194.33(b)(3). The method for determining the shallow drilling rate for the WIPP has not changed since the CRA-2009. The rate of shallow drilling was 28.8 boreholes/km2 and is based on information in (U.S. DOE 2012). However, shallow drilling continues to be screened out of PA calculations for the CRA-2014 because of low consequence. Therefore, there are no changes with regard to compliance with this part of the compliance criteria and the DOE continues to comply with section 194.33(b)(4). The U.S. DOE (2012) states that drilling practices have not changed since previous reports. Borehole diameters, depths, and plugging methods have not changed since the last recertification. However, the plug placement, types, and frequencies have changed slightly since the CRA-2009 due to what is considered a normal fluctuation in plugging and abandonment activities. Table 10 of U.S. DOE (2012) shows the historical changes in plug placement and types since the CCA. The plug types (i.e., number of plugs within the wellbore) are based on actual plugging data from the WIPP vicinity. The percentage of boreholes that are plugged through the entire salt section has increased to 4%, an increase of 1.8%. The percentage of boreholes with a plug between the repository and a hypothetical brine pocket is 36.6%, an increase from the previous value of 32.6%. The remaining plug configuration is now 59.4%, down from the previous value of 65.2%. Table 2-5 of Camphouse (Camphouse 2013) describes how these new plugging frequencies are incorporated into PA. Therefore, the DOE continues to comply with section 194.33(c). No changes occurred with respect to the WIPP's approach to compliance with this requirement. As in previous applications, certain EPs that relate to the extraction and production of resources can be screened out of PA calculations on the provisions of section 194.33(d). Appendix SCR-2014 states that the human-related FEPs H19, "Explosions for Resource Recovery," H25, "Oil and Gas Extraction," H26, "Groundwater Extraction," H60, "Liquid Waste Disposal-IB," H61, "Enhanced Oil and Gas Production-IB," and H62 "Hydrocarbon Storage-IB," are screened out according to the exclusion afforded by the provision of section 194.33(d), as these processes directly relate to the recovery of resources subsequent to drilling. Therefore, the DOE continues to comply with section 194.33(d). For the CCA, brine extraction was screened out based on low consequence. Subsequently, in the CRA-2004 and CRA-2009, this activity was screened out using the regulatory exclusion according to 40 CFR 194.25(a). The total shallow borehole count is derived by taking the total shallow count (6,179) as reported in U.S. DOE, Table 4 (2007), and removing sulfur holes (502), WIPP wells (199), and those holes currently being drilled or pending paperwork (194).